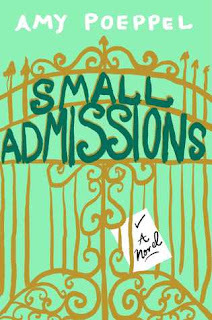 I typically love a good chick lit book while on vacation and I rarely read them other than that, but Small Admissions had such an interesting synopsis, I felt like I had to read it right away. The beginning of the story starts in third person, and the character introduction is a little bit confusing, but after the first few chapters I started to get in the groove and really enjoyed it. Kate begins as a character you just truly feel bad for. She doesn't know when to quit talking, she constantly feels bad for herself, and she makes a lot of bad choices (that left me rolling on the floor laughing), but with all of that being said... she is totally likable and I found myself unable to put the book down in hopes that Kate would do something else hilarious. 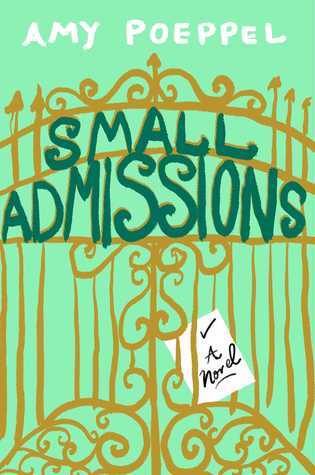 Unlike other chick lit books, Small Admissions isn't centered around a romance. There definitely is some romance mixed in, but I liked that it was more of a comedy than a romance story. I thoroughly enjoyed reading this novel and hope to read more from Amy Poeppel soon! I would highly recommend this book to friends.